Here is where we list upcoming and past reunions. All we need from you is the information to post. The LVHS Alumni Web Site is constantly under construction!! Any info you'd like posted feel free to email to reunion info for inclusion! 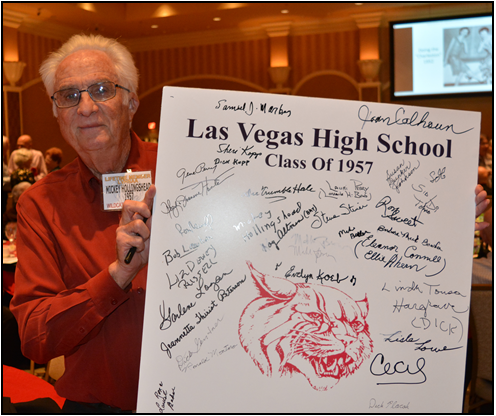 Will be holding their 66th reunion on Friday, September 20 and at the all-class Wildcat Reunion on September 21. Contact Alice Thiriot Hoffman at alver8913@gmail.com or (702) 838-6393 for details. 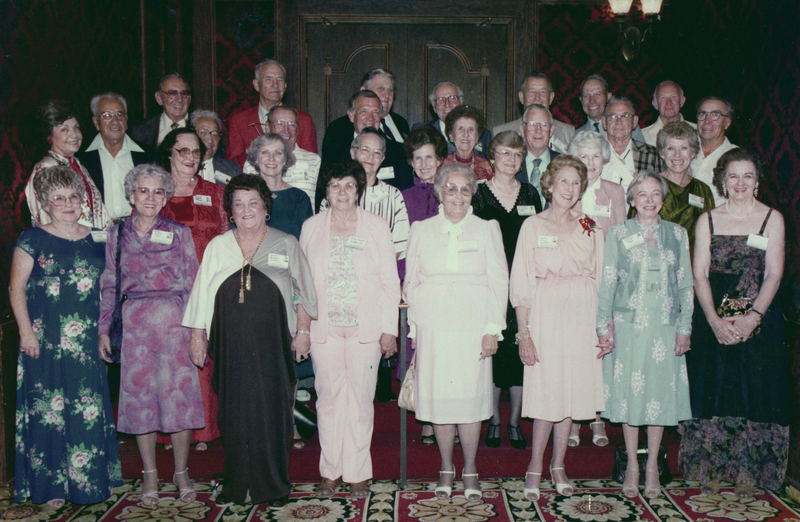 will be holding their 65th reunion along with class of 1953 on Friday, September 20 and at the all-class Wildcat Reunion on Saturday, September 21. Contact Rollie Gibbs at (702) 873-7838 for details. Will be holding their 63rd reunion in the Spring (date to be determined) and at the all-class Wildcat Reunion on September 21. Contact Patty Haack at lvowl@aol.com or (702) 876-6660 for details. or (702) 433-6618 for details. 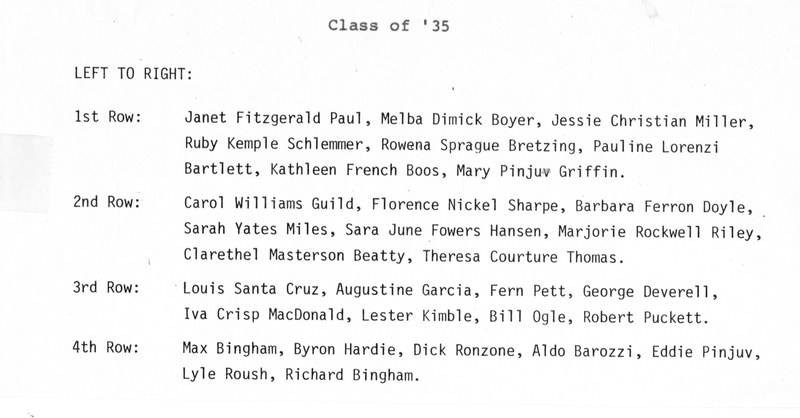 Will be holding their 50th reunion on Friday, September 20 and at the all-class Wildcat Reunion on September 21. Contact Marilyn Dondero Loop at lvhs1969@gmail.com for details. 40th Reunion on Friday September 20. Wildcat Reunion on the 21st. 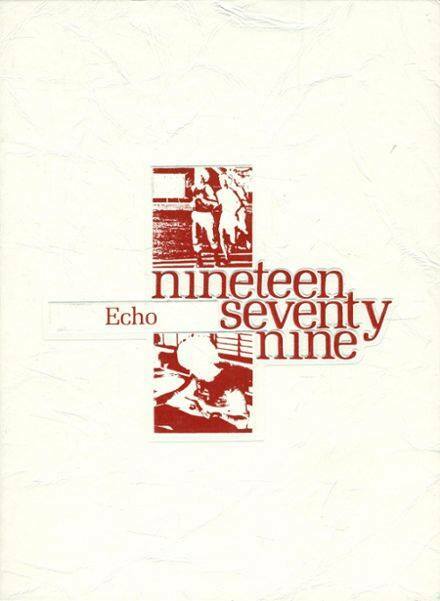 We are inviting Class of 78 and 80 to our reunion, and anyone else! We encourage out-of-towners to get hotel reservations at the Orleans! We are still working on location and other important details. We will be meeting again in February. or (702) 350-3713 for details. Making plans for their 30th Reunion. Contact Sue Leavitt at sueleavitt5@yahoo.com for details. 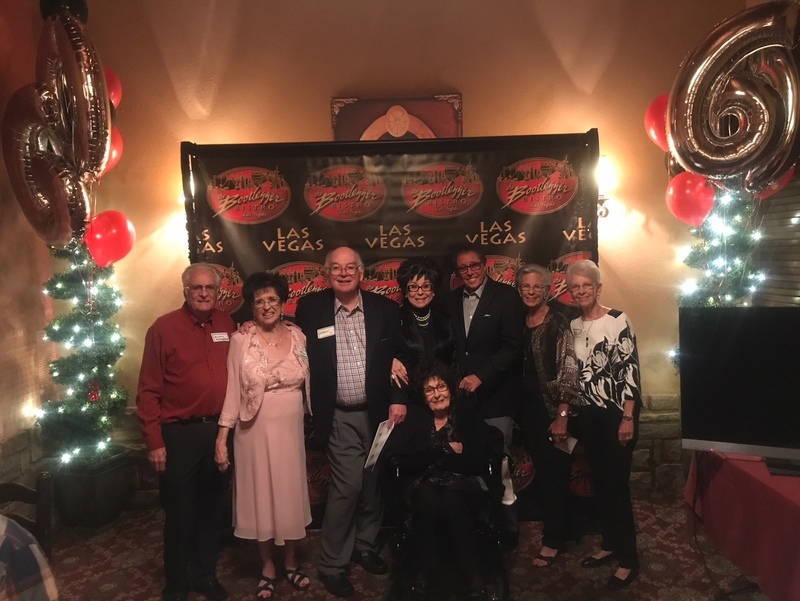 Mickey Hollingshead and members of Class of 1957 celebrated their 60th Reunion at the Wildcat Reunion and at the Bootlegger Bistro with owner Lorraine Perry Hunt-Bono and husband Dennis Bono. In front is Lorraine�s mother, chef �Mama� Maria, who is 100 years old and still cooking at the Bootlegger! 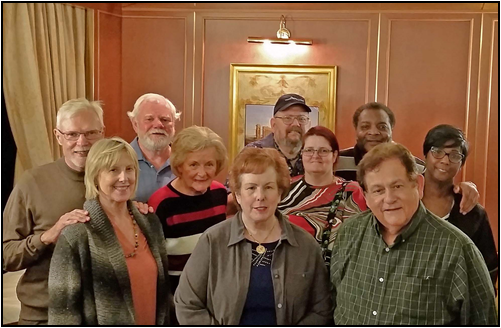 Members of Class of 1967 celebrated their 50th Reunion on a cruise along the California Coast and Mexico. They also were honored as "Golden Grads" at a luncheon at LVHS on June 8 and at the LVHS graduation ceremonies on June 9. See more details in the Wildcat Tales #18 newsletter (on the "Association News" page of this website). 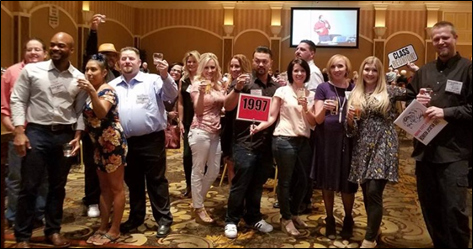 Members of Class of 1997 celebrated their 20th Reunion at the Wildcat Reunion on September 23. See more details in the Wildcat Tales #18 newsletter (on the "Association News" page of this website). was September 21 and 22, 2012. 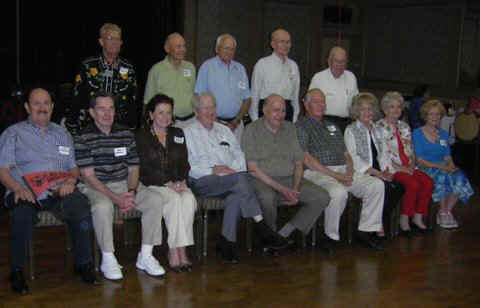 The class of 1945 had their 63rd reunion on Friday, September 19th at the Italian American Club. There were 58 attendees, including some from other 40s classes. The Saturday night dinner was held at Canyon Gate Country Club.